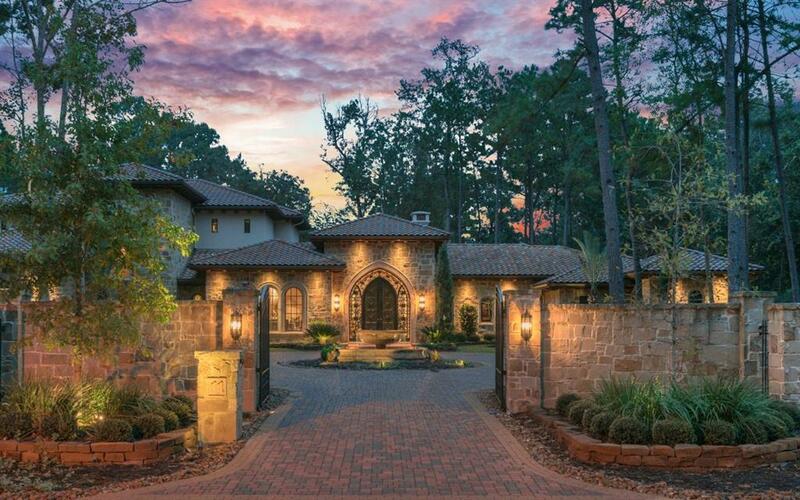 This weekend we’ll be opening the doors to three stunning homes in Montgomery & The Woodlands! Here’s the full line-up with times for each. Welcome home to this 2-story brick home located in Harpers Landing, with easy access to I-45, ExxonMobil Campus, Local Hospitals and all The Woodlands has to offer! Step into the foyer filled with light and take note of all this family home has to offer: Private study, formal dining, living room with wood flooring and gas-log fireplace, and island kitchen w/ built-in stainless steel appliances, gas cooktop, spacious pantry & breakfast room. First floor master with trey ceiling, crown moulding and large windows overlooking the backyard. Master en-suite bath features His and Her vanities, jetted corner tub, separate walk-in shower and large walk-in closet! Take the staircase to the 2nd floor with large secondary bedrooms and gameroom. Enjoy the backyard and patio. Don’t miss this ready to move-in home! Close to shopping, dining and entertainment. Superbly appointed Hamptons – inspired 5 bedroom home features 2-story ceilings & engineered hand scraped hardwood floors throughout. Gourmet kitchen with large island, upgraded quartz countertops, professional Dacor appliances & custom light fixtures. 5 full baths with upgraded tile designs, furniture vanities & nickel hardware. En-suite master bath boasts luxurious freestanding tub. Exterior is enhanced by covered porches front & back & expansive outdoor entertaining area with golf course views. Looking for the ideal in classic architecture offering a timeless feel? You won’t want to miss a visit to the gorgeous setting of Pine Island, one of Woodforest’s newest gated golf course communities. 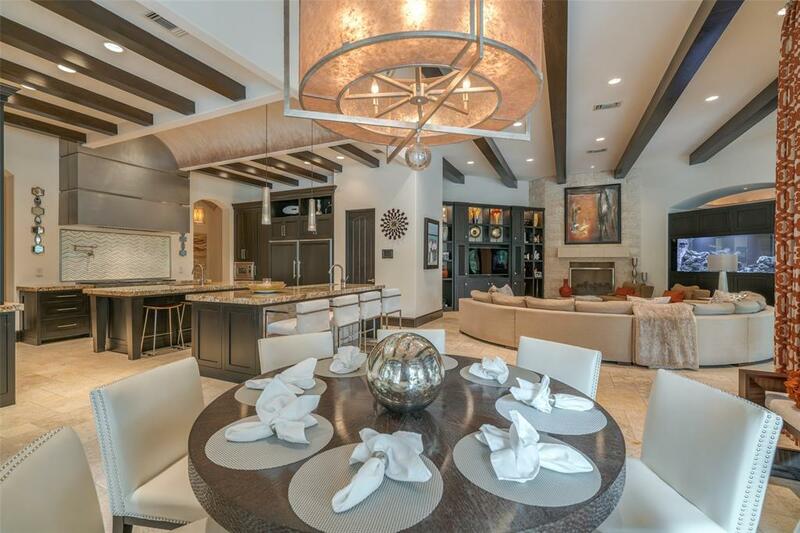 This stunning home is built by renowned custom home builder, Jeff Paul. Showcase property presents an exceptional energy efficiency rating combined with quality & superior design details. Throughout you will enjoy Baroque European Oak Wood Flooring, Arabescato marble, honed granite & quartz counters, Antiqued brick wall accents, Thibaut wallpapers, Thermador appliance package & high-end lighting by Hinkley & Currey. So many incredible finishes. Additional highlights like beamed ceilings, master suite & guest room down with 3 additional bedrooms up. Game room is down with barn doors & wet bar. Upstairs playroom with balcony overlooking golf course! 3 extra large fireplaces & a covered 27×18 pavilion. 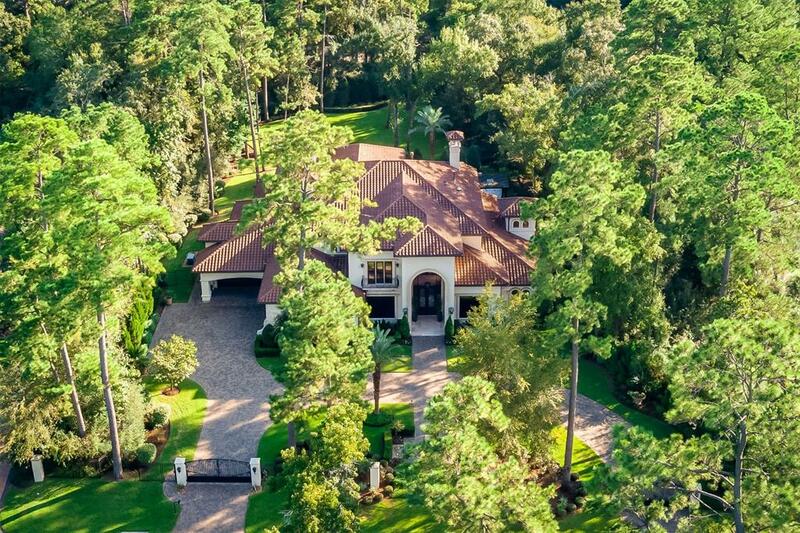 Home sits on 1/2 acre+ golf course lot surrounded by soaring trees & lush landscape. The Kink Team is a family-owned real estate business, and is just part of the reason why so much care and attention is emphasized with each and every client. The Kink Team is recognized as one of the top producing real estate teams in North America and is highly awarded within the industry. Since 1999 we have helped over 1,200 clients buy and sell over $1 Billion in local real estate. Let us go to work for you. Contact us today.